No matter which level they’re at, sports enthusiasts work out rigorously to enhance their performances, and thus, have high expectations towards the products they use. Expanded plastic is a material which, used in sports equipment, helps with better protection, better training, and better performances due to the increased comfort it provides. Expanded polystyrene (EPS), expanded polypropylene (EPP), and expanded polyethylene (EPE) are all used in protective equipment such as helmets. These materials allow the design of products meeting safety requirements in alpine skiing, cycling, hockey, lacrosse, figure-skating or many other sports. 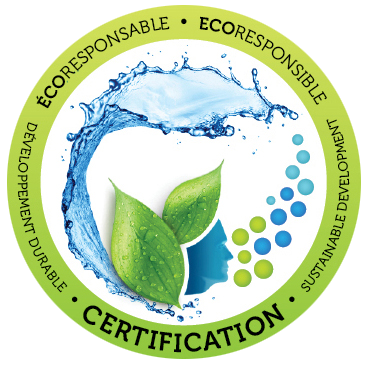 Polyform is also the only manufacturer who can design, manufacture and assemble CSA-certified ski helmets! Expanded plastics can also be used in the manufacturing of exercise rollers, pitcher’s mounds, putting greens, and much more. 12” x 6” grey KINEPPRO foam roller. High density expanded polypropylene. 12” x 6” black KINEPPRO foam roller (1,5 pcf). Made of expanded polypropylene. 18” x 6” grey KINEPPRO foam roller. High density expanded polypropylene. 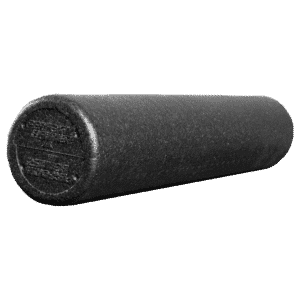 18” x 6” black KINEPPRO foam roller (1,5 pcf). Made of expanded polypropylene. 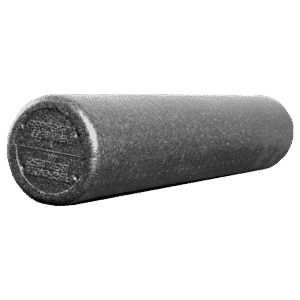 36” x 6” grey KINEPPRO foam roller. High density expanded polypropylene. 36” x 6” black KINEPPRO foam roller (1,5 pcf). Made of expanded polypropylene. 36” x 6” coloured KINEPPRO foam roller (1,5 pcf). Made of expanded polypropylene.